Reminiscences by Ivan Dunbar “A Tremendous Time”. NABBA is the first and original international bodybuilding association. Commencing in 1950, NABBA's first Mr Universe contest was won by Steve Reeves (pictured left) who defeated Reg Park. Some of the other great legends of the sport besides Reeves who won the Mr Universe title include Reg Park, Bill Pearl and Arnold Schwarzenegger (four-times winner). 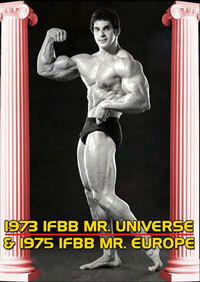 The 1948 Universe was sponsored by Health & Strength magazine and it was staged by its Health Strength League. It was won by John Grimek who defeated Steve Reeves. This fantastic trip down memory lane is narrated by IVAN DUNBAR who is the only person to have attended every single Universe contest from 1948 to 2008. Ivan was World President of NABBA International till he sadly passed away 10th August, 2009. We updated the interviews with Ivan at the October 2008 Universe. We have been working on this massive 6 HOUR DVD set since then. Ivan talks of the highlights over the years, with interesting and amusing stories about many of the famous names. Names such as John Grimek, Clarence Ross, Arnold Schwarzenegger, Chet Yorton, Dave Draper, Charles Clairmonte (four-times winner), Bill Pearl (pictured left, another 4-times winner), Frank Zane, John Citrone, John Terilli, Lance Dreher, Ed Kawak, Eddy Ellwood and many more. Ivan Dunbar is pictured large image front cover above with Arnold Schwarzenegger and Dave Draper at the 1970 NABBA Pro Universe. 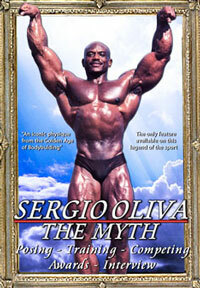 In the last section of the DVD, Ivan pays tribute to the amazing women of the Universe. Ivan also pays tribute to Oscar Heidenstam, who for 34 years ran the Universe shows until he died in 1991. The complete video footage of the 50th NABBA UNIVERSE ANNIVERSARY DINNER & POSING HIGHLIGHTS has been released as a separate DVD. Throughout this massive DVD set you will see posing clips and photos of many of these great stars as they are mentioned - from Grimek and Arnold right up to present day champions such as Eddy Ellwood, Ed Kawak, Salvatori Orazio, Hassan Alsaka, Tomas Bures to Martin Kasal. There have been so many great champions it was difficult selecting the cover images. However all champions are included in the PHOTO GALLERY. Eddy Ellwood holds the record with 5 successive victories. Ed Kawak also achieved 5 victories over a period of years. The DVD set covers all the Universe winners from 1948 to 2009 and all winners are listed in the end of disc # 2 for every category for Men and Women. This DVD set is dedicated to the memory of Ivan Dunbar, RIP. Without his input, help and support, this set would not have existed. 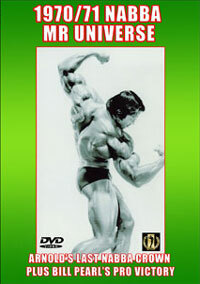 Our first video was originally released as "History of the NABBA Universe: 1948 to the Present". It still includes the 1948 Universe reference of course and this initial version has been retitled to become Disc #1 in the 2 DVD set covering all years from 1948 to 2009 inclusive, see content details below. The initial interviews with Ivan were recorded in Birmingham on the 2nd and 3rd of October 1997 on the eve of the 1997 Universe. They cover the Universe contest from 1948 to 1996 inclusive. We updated the interviews with Ivan at the October 2008 Universe in Southport, taking up from the 1997 Universe onwards. 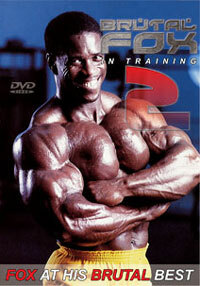 The special tribute to Ivan Dunbar by Nigel Gordon-Rae at the 2009 NABBA Universe is included in Disc #2, followed by posing clips of all of the 2008 and 2009 Universe winners. 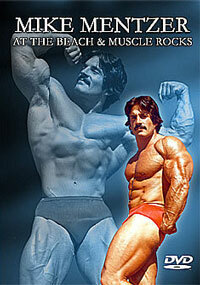 There is also a special tribute to Reg Park by Arnold Schwarzenegger. 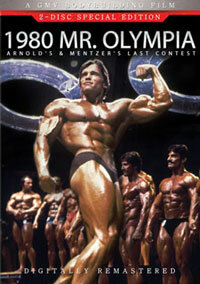 Reg was Arnold's inspiration in his bodybuilding career. Disc #1: The First 50 Years 161 mins. INCLUDES THE PHOTO GALLERY. Total Running Time: 366 mins OVER 6 HOURS! Photos courtesy Ivan Dunbar, Malcolm Whyatt, Lorraine McCune, George Greenwood, H&S, Alex Mac, Wayne Gallasch, Gene Mozee.